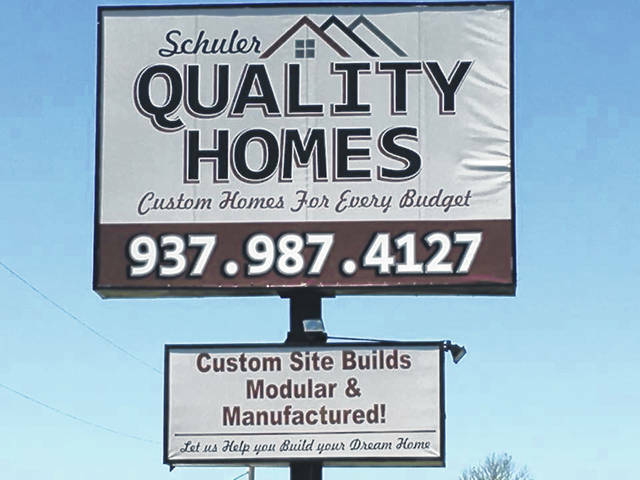 Schuler Quality Homes is at 10920 State Route 73, New Vienna. NEW VIENNA — Schuler Quality Homes grand opening will be held on Saturday, Aug. 18. There will be an open house from 10 a.m.-closing with a ribbon-cutting ceremony in conjunction with the Wilmington-Clinton County Chamber of Commerce at 11 a.m. Schuler Quality Homes is located at 10920 State Route 73, New Vienna. George Schuler and his son Rob Schuler have been building houses for more than 25 years and are excited to announce the grand opening of their new sales office and model lot that offers quality stick built, modular, and manufactured homes for every budget. The grand opening will feature food, prizes, and savings – including a big screen TV giveaway. You can also receive a 60-inch Smart TV for free with the new purchase of a Skyline Model 7740 home within the next 30 days. Poly furniture will also be 15 percent off during the week of the grand opening, as well as other great savings opportunities.